The pregnant Duchess of Cambridge made her first public appearance Sunday night since her hospitalization for acute morning sickness. 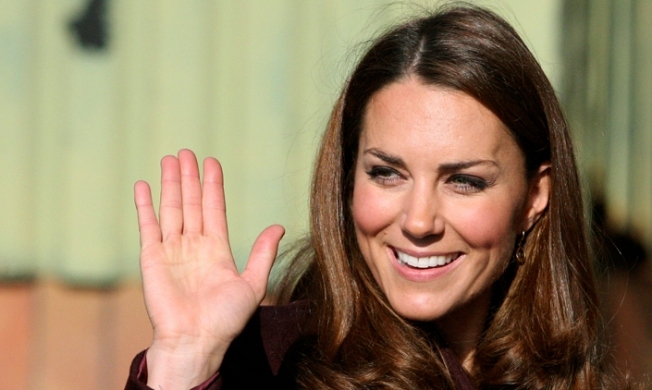 Palace officials have said the Duchess is in the first 12 weeks of her pregnancy. It would be the first child for her and her husband, Prince William. Looking healthy and strong, the former Kate Middleton presented awards at the BBC Sports Personality of the Year prizes, which were broadcast throughout Britain. She wore a dark green outfit and seemed composed and comfortable, showing no signs of the acute morning sickness that had led to her recent hospitalization. She had not been seen in public since leaving King Edward VII Hospital in London on Dec. 6. At the time, officials said the duchess would be resting. At the conclusion of the gala show, she presented the lifetime achievement award to Sebastian Coe, the newly elected chairman of the British Olympic Association and a two-time Olympic middle-distance champion, and the sports personality of the year award, won by Tour de France and Olympic champion Bradley Wiggins. It was also her first public appearance since the apparent suicide of a nurse at King Edward VII Hospital who was the victim of a prank call by two DJs from an Australian radio show. She and William have said they were deeply saddened by the nurse's death.